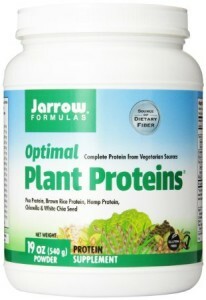 Looking for vegan vitamins and supplements? You’ve come to the right place. We’ve done a lot of work to scout down the best vegan supplements. 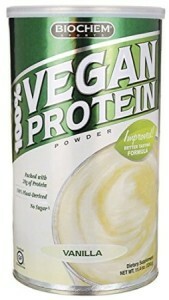 All of the supplements listed below are 100% vegan: No gelatin, no casein… NO animal derivatives. The source of the nutrient. Bioavailability (how well does the body absorb it). Cost/value of the supplements (because going vegan shouldn’t have to be expensive!). A short, final section of tips & advice. Make sure to check it as well! Before diving into each vegan supplement, let’s talk first about the intake form. 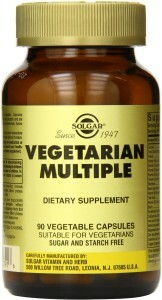 In the following lists, we include vegan vitamins in the form of pills and liquid. There’s a slight difference in the way they work: the liquid form or sublingual pills have quicker absorption, the dry pills are absorbed slower. You should ask your doctor which form suits you the best if you have any vitamin/supplement prescription. We hope these lists help you pick out the best vegan supplements for your needs so you can stay healthy on a plant-based diet! None of this information is intended to be used as medical advice. Consult your doctor to determine whether you need supplements. 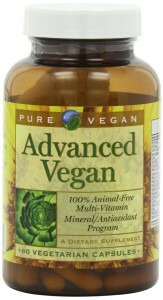 All of the vegan supplements were chosen based on their quality, value, and because they are vegan. 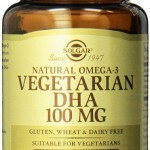 We make a small commission on any vegan supplements you buy through the links. That helps to keep this website going! 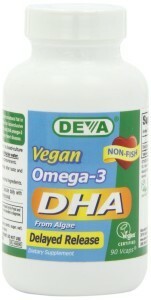 Omega 3 is an essential fatty acid. The “essential” part means that the body can’t make it on its own, so we have to consume it from dietary sources. You need this acid for brain, heart, and general health. Dig deeper about it here. 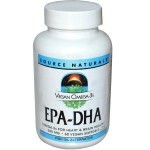 On the other hand, EPA (Eicosapentaenoic Acid) and DHA (Docosahexaenoic Acid) are some of the fatty acids that belong to the Omega 3 family. 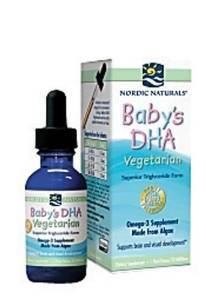 There isn’t a set dosage of omega 3 yet, but international organizations like WHO, the International Society for the Study of Fatty Acids and Lipids, and the EFSA recommend a minimum of 250-500 mg of EPA and DHA (both combined) for healthy adults. Even 2000 mg/day are considered within the limits for dietary supplementation, according to this overview of the Pharmacy and Therapeutics Journal of 2013.
a while after the intake. 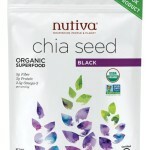 Chia is a natural source of omega-3. It’s a mineral that our bodies need for many functions. The body needs iron to make the proteins hemoglobin and myoglobin. Hemoglobin is found in red blood cells and myoglobin is found in muscles. They help carry and store oxygen in the body. 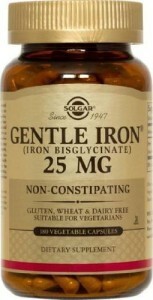 Iron is also part of many other proteins and enzymes in the body. Here’s an iron nutrient guide for vegetarians and vegans and its bioavailability for further information. The Recommended Dietary Allowance (RDA) for Iron is (for individuals between 18-50 years old) 8mg for males and 18mg for females. 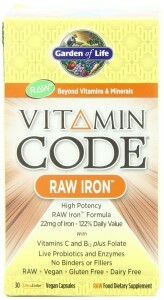 Garden of Life Vitamin Code RAW Iron ● Vegan certified. ● 400 mcg of folate (100% RDA). ● 500 mcg of B12. ● 25 mg of vitamin C (aids absorption). (aids absorption), and folic acid. 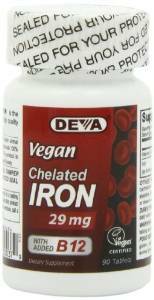 Deva Vegan Chelated Iron ● 29mg iron (161% RDA). ● Contains 30mcg of B12. Even though it’s widely known that a proper vegan diet doesn’t lack of the needed amount the dietary intake of protein, vegan or vegetarian athletes can benefit from an extra amount of this macronutrient to enhance their endurance and improve their training outcomes. You can also add it to your smoothies or oatmeal for a powerful and nutritious breakfast! The RDA for protein is approximately 0.8 grams of protein per kilogram of body weight for an average, sedentary person. A 70kg individual should eat 56 grams of protein per day (70 * 0.80 = 56). The average amount of protein for athletes, according to the Academy of Nutrition and Dietetics is 1.2 to 2 gr. of protein per kg of body weight. Nevertheless, athlete’s nutrition should be assessed by a healthcare professional (a nutritionist, a certified trainer…). 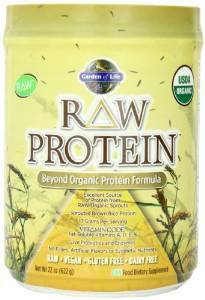 Garden of Life RAW Protein Powder ● Protein from organic raw sprouts. 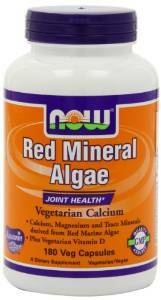 and minerals (calcium, zinc, iron). 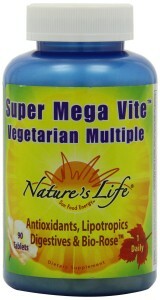 ● Live probiotics and enzymes. ● No sweeteners or fillers. ● Vegan and organic certified. hemp, chlorella, and chia seed. ● Superior amino acid profile. and 80 calories per serving. ● Has omega 3 and 6. 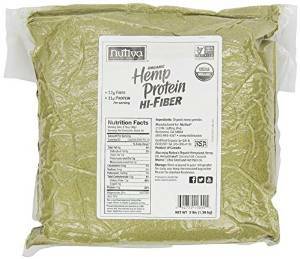 ● Pea, hemp, and cranberry protein. 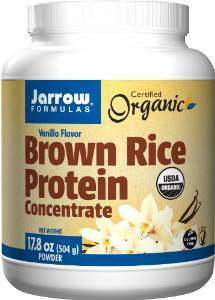 Jarrow Organic Brown Rice Protein Powder, Vanilla ● 11g of protein and 60 calories per serving. ● Contains 15% RDA for iron and 5% RDA for calcium. The NOF claims that by 2025, osteoporosis will be responsible for approximately 3 million fractures. It’s what’s called a “silent disease” because you can’t tell if your bones are weakening or not. This disease gets noticed usually after a fracture, when the bones are already weakened. Even though diet plays a major role in bone health, it might not be enough for preventing osteoporosis in the population of +50 years old. A downside of the vegan diet is that we have a 30% higher risk of fracture possibly due to the low calcium intake, according to this comparative study with 7,947 men and 26,749 women aged 20-89 years, published on the European Journal of Clinical Nutrition in 2007. The RDA for calcium is 1,000 mg for an individual between 19-50 years. 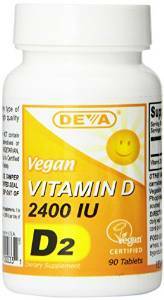 Vitamin D regulates calcium balance. It also affects the cells responsible for building and remodeling bones: “osteoblasts”. Its RDA is 600 IU or 15 mcg for an individual between 19 and 70 years old. 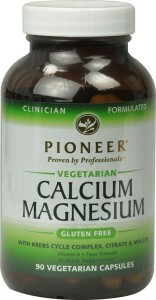 Magnesium is required for transporting the calcium ions across cell membranes. A low intake of this micronutrient results in low blood levels of calcium, and even resistance to some actions of the vitamin D. Its RDA for males between 19-30 years old is 400 mg, between 31-50 years is 420 mg; for females between 19-30 years is 310 mg, between 31-50 years is 320 mg.
Vitamin K2 (a form of vitamin K) has a major role transporting calcium into the bone tissue and reducing the calcification of arteries. 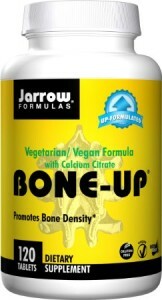 It works hand in hand with the vitamin D when it comes to bone development. Its RDA is, for males +19 years old, 120 mcg; for females +19 years old, 90 mcg. Contains:● 250% DV* of vitamin D.
● 100% DV of calcium. ● 130% DV of magnesium. 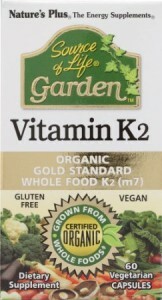 ● 60% DV of vitamin K2. ● 70% DV of zinc. ● 1000 IU vitamin D.
fermented natto (a soy derivative). ● Organic and Non-GMO certified. ● Gluten and yeast free. 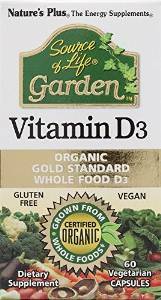 Source of Life Garden Vitamin D3 Vegetarian Capsules ● 5000 IU of vitamin D3. ● Contains 1000 mg of chelated calcium. Their RDA are in this article, along with further information about them. 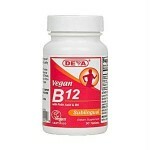 Vitamin B12 is not present in a plant-based diet, so vegans must take it as a supplement to prevent vitamin B12 deficiency. ● Cyanocobalamin form of B12. 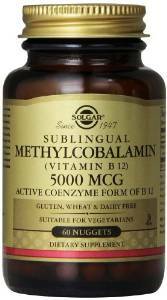 ● Sublingual for better absorption. of folic acid and B6. 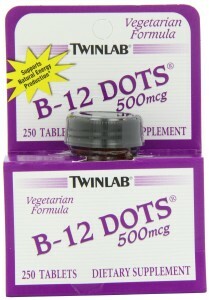 each vitamin B, including 133 mcg of B12. 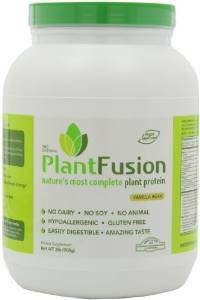 ● Raw probiotic and enzyme blend. 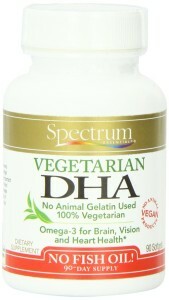 Vegans tend to have lower levels of DHA and EPA than vegetarians and non-vegetarians. 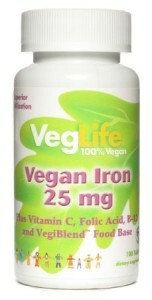 A vegan diet has a low bioavailability of iron, so our recommended intake is 8 times those of non-vegetarians. The bioavailability of zinc from a vegan diet is also lower, due to the higher phytic acid content. We have a 30% higher risk of fracture possibly due to the low calcium intake. Also, we have a low intake of vitamin D and lack of vitamin B12 and iodine. I know that bulleted list seems long and even discouraging, but actually, there’s a worldwide problem of vitamin D and the current American diet lacks potassium, dietary fiber, choline, magnesium, calcium, iron, and vitamins A, C, D, and E, according to the Dietary Guidelines 2015-2020. This leads to thinking that any kind of diet (vegan, omnivore, ovo-lacto…) can -and should- be enhanced with supplements to achieve the levels of micronutrients required. 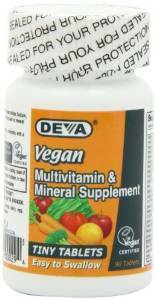 Deva Vegan Multivitamin and Mineral Tiny Tablets ● Contains 25 micronutrients. 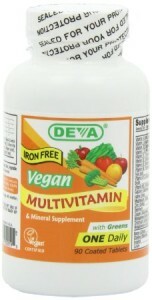 Deva Vegan Iron-Free Multivitamin ● Contains 25 nutrients. ● Just one tablet per day. 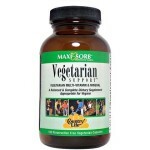 100% RDA for 25+ micronutrients. ● Gluten free and kosher. 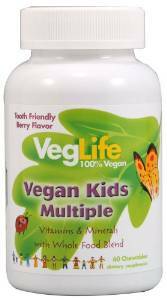 Even though growth between vegan and omnivorous children is the same, (further information and studies in this guide), remember that the vegan diet has a low bioavailability of certain nutrients. Kids need to meet their micronutrients requirements due to their continuous physical and mental growth process. Vegan kids’ supplements can make sure the proper intake levels are being consumed. This article has great tips for raising vegetarian children, including breastfeeding, starting on solid food, and getting toddlers to eat their veggies. Before adding vegan kids’ supplements to your child’s diet, please look for proper medical advice from your pediatrician. Remember that supplements are not a compensation for a poor diet. ● Contains 14 vitamins and minerals. ● Bioavailable forms of nutrients. 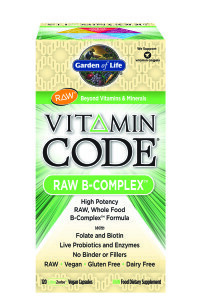 ● Contains B vitamins and zinc. 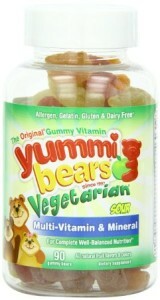 ● Strawberry gummies made from fruit pectin. ● Organic and vegan certified. 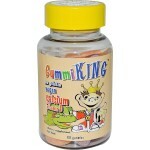 ● Calcium and vitamin D supplement. ● 6 natural fruit flavors. ● Non-GMO and hexane free. 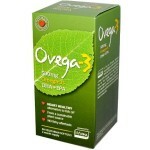 ● Derived from algae oil. ● Made in a controlled environment. Check the following links if you want further information about the Dietary Allowances and Adequate Intakes of minerals and vitamins from both sexes and all ages, including pregnancy and lactation. 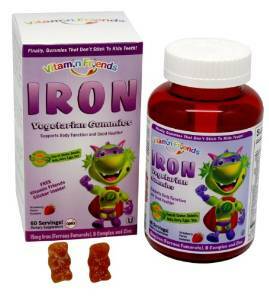 Iron poisoning was very common among kids taking supplements a few years ago. If you believe your kid has symptoms of iron poisoning or has a supplement overdose, take him/her to the ER immediately. This advice goes to adults as well. Don’t take supplements in place of, or in combination with, prescribed medications without your health care provider’s approval. If you are scheduled to have any type of surgical procedure, ask your doctor whether you should take supplements. 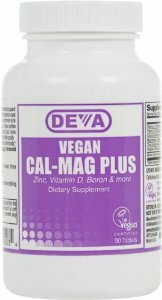 Please talk to your doctor before taking any of these vegan vitamins, and take the time to educate yourself about vegan nutrition requirements (more information here and here). Supplements are not magic pills that can compensate for bad nutrition. Further, vitamins and minerals don’t act alone – they work together in complex ways so the body can absorb them and use them. One example of this is how calcium, vitamin D, and vitamin K2 all work together to help your bones stay strong (more examples here). Algaes (the main component of many vegan supplements) contain iodine, a mineral required for the thyroid gland to produce hormones. An excess of iodine can be dangerous to people with established thyroid problems (nodules, hyperthyroidism, hypothyroidism…). If you have any of those, please consult with a physician before taking any algae-derived supplement.Don’t decide to take dietary supplements to treat a health condition without medical advice.